Last week I purchased a bag of Cretor’s Chicago Mix and I see that this week it is on sale. I’ll be bringing my receipt in to get a $2.50 refund (hopefully I won’t just get a hot dog with it). I also purchased the Chef Bombay Appetizer Collection for my daughter’s first birthday party and it seemed to go over very well! Frank’s Hot Sauce does not go on sale very often, and our family seems to go through it quite a bit! We also purchased the Foster’s Pickled Beans and like those quite a bit as well! If you are interested in seeing what Costco is selling in the seasonal section (Halloween and Christmas) CLICK HERE!!! If you are interested in seeing what is on sale in US Costco (the sales last for the month) CLICK HERE!! One thing to keep in mind when reading this blog is that sales items in the meat and produce section are store dependent – the manager sets the sales for these items. For that reason, the chicken sales that you see this week (and last) may not be available at your store. Also, any items on the blog that end in ‘.97’ means the item is on a clearance. These ‘.97’ items are also store dependent. If you are interested in one of these products you can check with customer service to see if any of the items is available at a nearby store! If you purchased the product previously and it has gone on sale, if you bring in the original receipt and you have purchased the product withing 30 days (or longer, depending on the employee), Costco will refund you the difference! Check out my post about Five ways to Save Money at Costco!!! If this blog has helped you save money or has provided you with some entertainment, consider sharing cocowest.com with your friends and family! Alternatively, you can join the Costco West Facebook group to get updated whenever there is a new post! https://www.facebook.com/costcowestcoupons/. 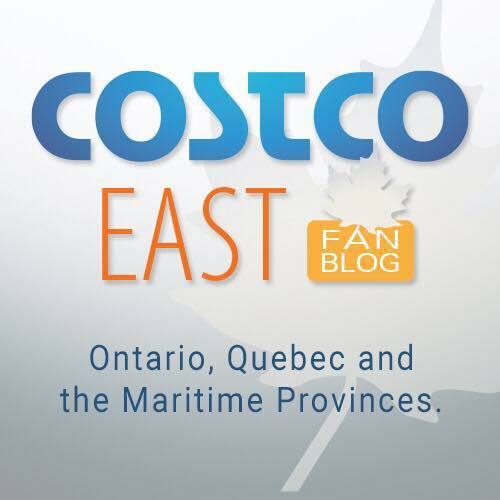 Follow me on Twitter at: @CostcoWest! There is a new option to subscribe to website updates via Email at the top right of every page. Sign up if you don’t want to miss a post! I just found out about your site last week and already I have save money thanks to your deals! Thanks and keep up the great work. I will be clicking on your ads every week. Thanks for all your hard work so the rest of us can take advantage of great savings. Thanks for your continued dedication to bringing us the weekly deals! It’s definitely the best part of my Mondays! Doesn’t seem to be loading pics. I love your posts and look forward to them every Monday. For some reason this week I can’t see the pictures ? There they are! Love this page. Thanks so much! Thank you for taking the time every week to do this! Love the posts every week. This site is amazing and because I drive to another city to go to Costco it is super helpful! Thank you so much. Looks like some good deals! Thanks for doing this! It’s a big help! Thanks for the weekly posts! Love your website. Really helps a mother out! Love this site! I read it every Monday. thanks for all of your time and effort for providing this to everyone! Tha ks I love this page!!! You’re so awesome. Thank you for sharing this with us every week. Thanks for posting! I look forward to your weekly updates. Thank you for the posting each week! I always look forward to it. Any comments on the Pinty’s salt and pepper wings? Definite purchase! My kids love them. (and I do too!) I’ll be stocking up. Can’t thank you enough for the good job you do on our behalf. They loaded this time. Thanks! Thanks for posting! Appreciate all the work that goes into this post! Any review for the mini-tacos? They look intriguing, but would love to hear a first-hand experience. I was wondering the same too!! Tynan is in the Lower mainland as well. Why are all these deals not available at our Costco in Lethbridge? I came across your site this afternoon and I love getting the flyer this way. It saves trees, waste in the garbage and around the parking lot. Would be wonderful if we could get it this way all the time but still have a few paper ones in store for people that do not have a computer. I am grateful to be able to look at the flyer in his manner and I do understand what you go through to put this all together as I had to build mine with no experience at all. Why are there no pictures this week? Hi Lisa, thanks for visiting my blog! Try clearing your cache on your browser. Your browser is loading an older version of the page. The pictures have been up since last night! Does anyone know if the frozen Melona bars will be back? There were 8 melon and 8 mango in a box for about $8.50. Delicious! Tragically, they are no longer on the shelf and the tag is gone, too. I much appreciate your tireless efforts posting every week, I religiously rely on it for planning when to visit Costco! What a time saver! I have a question about Costco’s return policy for food items such as Vega Protein Powder. I tried it and it has consistently given me tummy issues. I’ve already consumed 1/3 of the product. Do you think they will still accept it for return with full refund? I’m pretty confident that their product guarantee will cover this. Again thank you for all of your hard work – I hope you know we all appreciate it. Just the savings alone on the Caesar’s dog food made our trip to Costco worth it. I hadn’t thought to check Costco for these and always got them from Walmart but the sale was so worth the drive out and thanks to you for highlighting this. We are both newly retired and now have more time & energy to do cost comparisons and while I’m a big fan of Costco shop wisely as some of their “prices” aren’t the best and can be purchased elsewhere for far less. Saskatoon will have two Costco stores within the next week and I’m looking forward to seeing what they bring in that might be new. I tried taking in a receipt to get the price matched the day after I bought it because it went on sale and they told me they don’t do that with food anymore. Anyone else find that they won’t price match their sales price on food? Thank you so much for your weekly postings….it is vey much appreciated. I always share your FB page with my friends each week …..you deserve a Gold Star!!?? Thank you so much. It is a 30min drive to the nearest Costco and knowing the deals ahead of time makes it worth the trip. I’ve been here regularly to see what’s on sale and plan out my shopping at Costco. Thanks for saving me all those hours wandering around. Here in Vancouver, it’s a nightmare going to Costco on the weekends because it’s soooo busy. Thanks so much for all the time and effort you put into this site! I check it every week. I’m an hour from the nearest Costco and it’s SOOO helpful to know what items are on sale each week! Wow – this is the first time I’ve visited your blog. Love it. THANK YOU ? ?